October 11, 2013 (Fri) 3:00 – 5:00 p.m.
Foreign governments and Islamist movements have supported rival mosques and Islamic cultural centers in Western Europe since the settlement of a Muslim minority fifty years ago. Growing interest in this minority’s integration after the terrorist attacks in NY, Washington, London and Madrid led to major changes in European governments’ relations with local mosques and with religious affairs ministries in Turkey, Morocco, Algeria and elsewhere. The effort to consult religious leadership on issues affecting this minority over the last decade has been criticized by some as promoting communitarianism as well as praised by others for leveling religious liberties for all citizens. This lecture investigates the possibilities and consequences of anchoring Islam in European domestic institutions. Can state-mosque relations nurture a pragmatic relationship between communities and public authorities? What is the role of foreign governments in the building of mosques, training of imams and other requirements of Muslim religious life in Europe? Dr. Laurence will discuss how recent political change in the countries of origin interacts with the evolution of European Muslims’ own engagement – political, religious, cultural and otherwise. 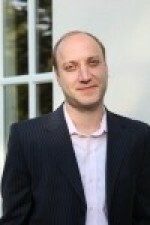 Jonathan Laurence is the author of The Emancipation of Europe’s Muslims: The State’s Role in Minority Integration (2012). He is an associate professor of political science at Boston College and a non-resident senior fellow at the Brookings Institution’s Center on the United States and Europe. Laurence’s expertise includes French and Italian politics, transatlantic relations, and the integration of Muslims into European politics and society. Previously he was a visiting fellow at the American Academy in Berlin, Brookings and the Transatlantic Academy in Washington, DC. He is the author of Integrating Islam: Political and Religious Challenges in Contemporary France (with Justin Vaisse, 2006), and co-editor of Governments and Muslim Communities in the West (2008). He is a term member of the Council on Foreign Relations and a frequent contributor to various international policy journals and world-renowned newspapers.